At this point, you guys all know what Quick Charge 2.0 is. If not, well, read this post. 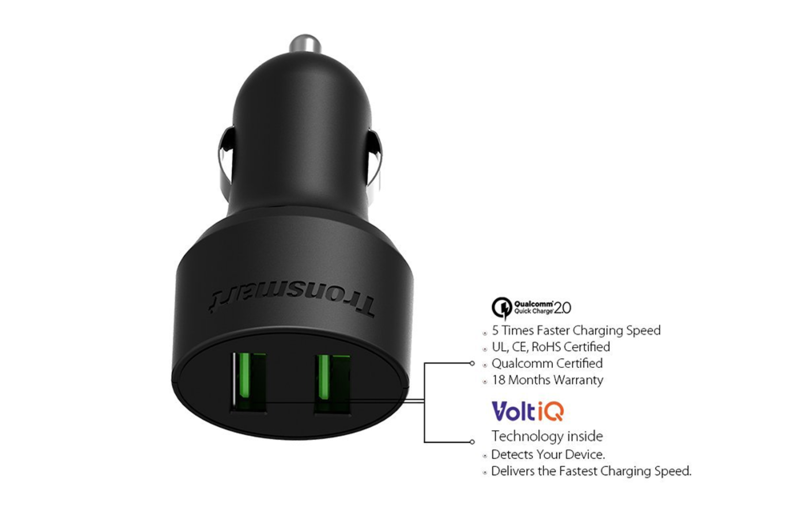 For those up to speed, we wanted to share this deal on a Tronsmart Dual-Port Quick Charge 2.0 car charger that is $9-off thanks to a coupon code. We’re pointing it out because most QC 2.0 car chargers are either single-port or if they have two ports, only one has QC 2.0 enabled. With this charger, you get both ports active in the QC 2.0 game, which is a big deal, especially on drives where you and your passenger both need juice in a hurry. We aren’t sure how long the code is good for, so jump on it. It’s also Prime eligible. Use coupon code “VYWBJYI5” at checkout to drop the price to $10.99.